Ships tomorrow if you order in the next 16 hours 36 minutes. 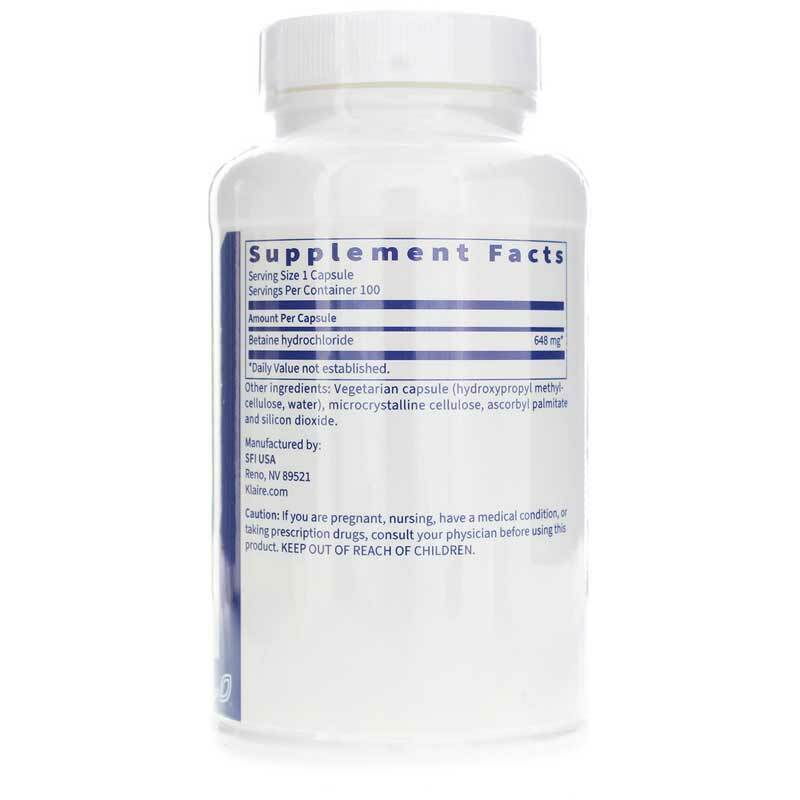 If you have reduced levels of stomach acid, Betaine Hydrochloride by Klaire Labs may offer wonderful digestive support. 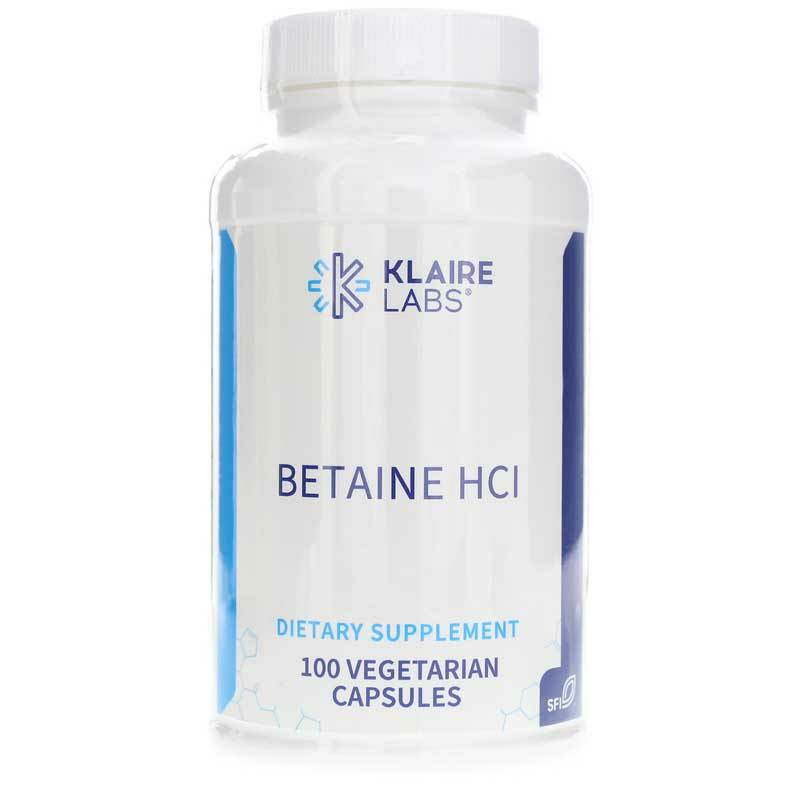 Betaine Hydrochloride supplies a supplemental source of hydrochloric acid, an acid that is normally produced in the stomach to help digest protein compounds in food. Digestive support for low stomach acidity. 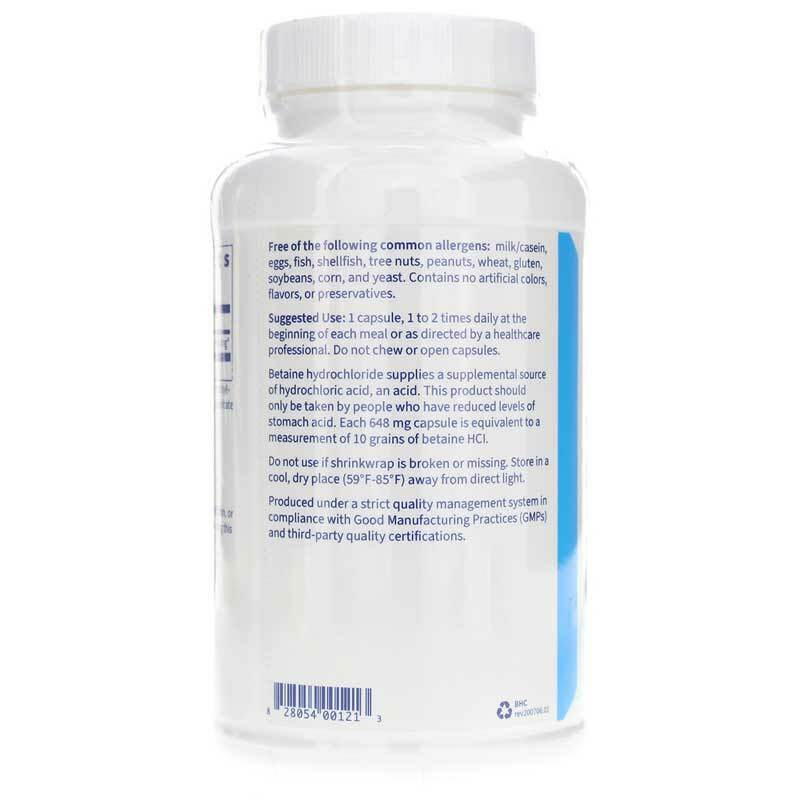 Betaine hydrochloride promotes optimal gastric acidity for support of protein digestion and absorption of minerals and other nutrients. Hydrochloric acid is also necessary for proper absorption of certain forms of calcium, iron and other minerals. This people should only be taken by people who have reduced levels of stomach acid. For natural digestive support, order today! Other Ingredients: Vegetarian capsule (hydroxypropyl methylcellulose, water), microcrystalline cellulose, L-leucine, silicon dioxide. Contains NO: milk, casein, eggs, fish, shellfish, tree nuts, peanuts, wheat, gluten, soybeans, artificial colors, flavors or preservatives. Adults: 1 capsule, 1 to 2 times at the beginning of each meal. Do not chew or open capsules.